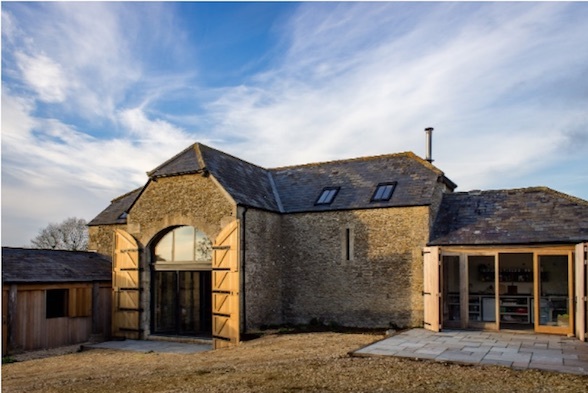 The first Aural Diversity concert will take place at the Old Barn, Kelston Roundhill on July 6th 2019. There will be two performances: a matinée at 14.30-16.00 and an evening concert from 18.00-19.30. Food and alcohol will be available at both performances. All utensils will be eco-friendly and silent. Streaming to hearing devices such as user-controlled headphones or bluetooth aids. Vibrating floor and other haptic interfaces. Video interpretation of the music. Signing and other forms of physical interpretation. The concert is being promoted by Kelston Records. The concert is sponsored by GNResound and will also be filmed by them as part of an ongoing series of movies about Andrew Hugill and Aural Diversity. The concert will comprise performances or works by six artists working either together or alone. Each of these artists has a different hearing profile. I am autistic with (associated?) sensory processing difficulties, especially with regard to my hearing. I have hyperacusis with a particular sensitivity to higher pitches. I also have a touch of misophonia. Instrumentation: 'found'/everyday objects, probably small metallic items. Description: A flowing piece consisting of metallic sounds, paper/card, stone/brick sounds, with a percussive section in the middle. I will 'play' objects over a pre-recorded track. Percussive, in fast section, quieter in slow parts. Slow tempo - then fast tempo - then back to slow tempo. Listening: unmediated in all spaces, streamed to headphones and hearing aids, vibrating floor. I have been profoundly deaf since birth. I have bilateral cochlear implants (I got one aged 13 and one aged 23). Instrumentation: Clarinet (Ruth) and piano (Jonathan). Description: A set of short, well-known jazz melodies. They will be transposed so that each one may be played in two registers - low and high (but not extremely high). Jonathan will accompany with a pared-down accompaniment i.e. something that's not too 'busy' for the ear. Time permitting, RM can do a little improvising in both registers. We will provide lyrics so that listeners can follow the melody. The pieces will be contrasted emotionally - we will do a love song, a sad song, an upbeat song. A slow change in my hearing up until 1993(?) has brought 50% loss from the top down in terms of area on the audiogram; accompanied by hyperacusis, tinnitus and two hearing aids. Frequencies above 2.5kHz start to register as clusters of white noise and rapidly disappear above that. Instrumentation: Free instrumentation. Each player to use either their own resource or equipment provided. Listening: unmediated in main space only. Description: Very quiet, very minimal audio-visual compositions for diplacusis piano. Listening: unmediated in main space, streamed to headphones, video interpretation. These days I have a continuous high frequency tinnitus in my right ear accompanied by some hearing loss, and increasing levels of intolerance to high sound levels. Just to add, as well as through my research, being a dad of two kids, I became acutely aware of the impact of everyday sound on sensitive ears. Description: Hand-dryer recordings voiced and transformed. Performers are spaced around the performance space. Would like to explore if they can move, but need to try it out in the space. There is also a pre-recorded track to mix with the live voices. Need to collect pre-recorded voicing before the event. Medium loudness to quiet. No sudden bursts. The performers will be directed to voice gently. Listening: Unmediated in all spaces, streamed and vibrating floor. Possible video and signing interpretations to be discussed. I lost my hearing through Meningitis as a child, though subsequent ear infections reduced what remained, and wear two hearing aids (bone anchored and a very old analogue aid). I have performed on a number of instruments for some decades - mainly early instruments - lute, guitars, hurdy-gurdy, etc - but can play traditional instruments. As with all deafness my hearing problems are unique - and I never know how I am going to be hearing day to day. Tinnitus is a constant problem and I rely quite heavy on lip reading and positioning - being in the right place to communicate. My problems are much more to do with quality of sound - as with hearing aids I hear a lot but always of good enough quality. Sound above middle c I hear well for pitch - but below this my pitch sensitivity declines. Instrumentation: Voice/Speech sounds over a pre-recorded track. Description: Slow tempo. Fairly soft, but some 'plosive' and staccato speech/voice sounds at points. Listening: unmediated or streaming or vibrating floor. Audience will be invited to go outside while listening.